I liked it. It's just like the movie. 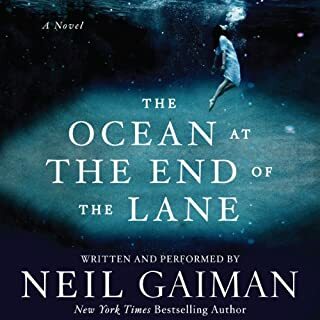 A BBC Radio six-part adaptation of Neil Gaiman's best-selling novel, starring James McAvoy as Richard and Natalie Dormer as Door. An act of kindness sees Richard Mayhew catapulted from his ordinary life into the strange world of London Below. 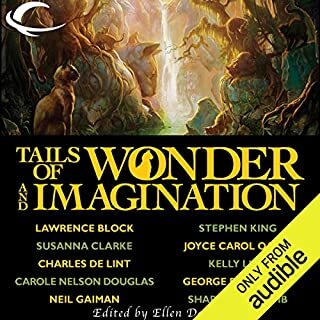 There he meets the Earl of Earl's Court, faces a life-threatening ordeal at the hands of the Black Friars, comes face to face with the Great Beast of London, and encounters an Angel called Islington. Absolutely loved every minute of it! The story, itself, is great, but the performance really makes it shine! I will definitely re-listen! with impeccable casting and such fine material there results a great listen! I truly loved hearing Sir Christopher Lee at his grumpier. 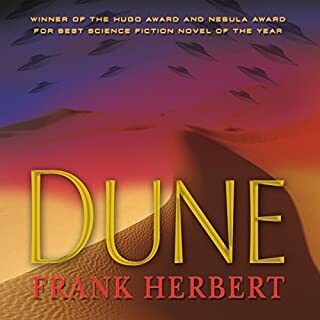 Fantastic book, great performance. Worth listening to. 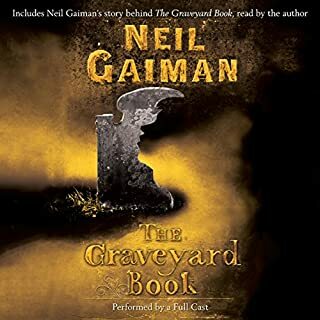 Neil Gaiman is a mastermind. Can’t say enough about how great the story was. Don’t miss out. From the story adaptation, to the cast performance and sound production, made this a wonderful experience. 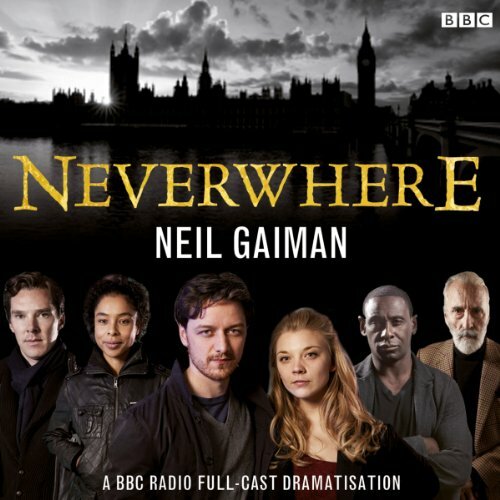 Where does Neverwhere rank among all the audiobooks you’ve listened to so far? This full cast version has the rare distinction of something I will listen to over and over again. 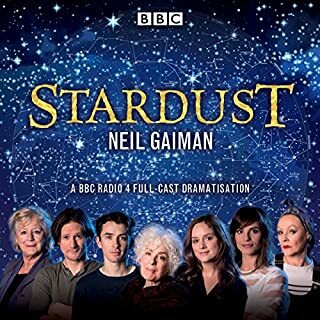 I listened to the full story read by Neil Gaiman (which I would also recommend) before listening to this radio drama version because I was afraid that I wouldn't be able to follow what was going on. However, this fear was unfounded as the radio drama did a wonderful job abridging the plot and yet keeping all of the important stuff in. The casting was absolutely perfect! Dear Powers That Be, can we please have a movie version with this cast? The outtakes included in the end had me in hysterics. Particularly, the cast doing a Gregorian chant/beat box alphabet is hilarious. Oh yes, every single person who likes good things should listen to this. It have tons of amazing voice actors along with a really great, fun story. 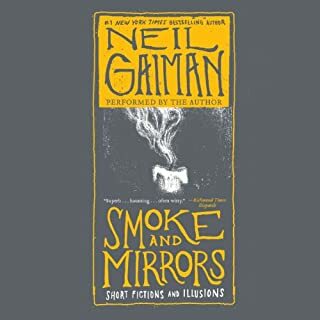 This is and remains one of my favorite books from Neil Gaiman. So much fun. It's so different. The first time I read it, it wasn't like anything I've ever read before. Then, to hear it acted out by some of the best actors of the age? Oho yes. Every scene with Richard and Door/James and Natalie. They just sounded so excellent together. A good energy. I would also be remiss if I didn't mention Anthony Head's performance in this production. I've always known him as Giles, but as a baddie, he excels just the same. Tony Head can do no wrong. Same with Bernard Cribbins. Can you tell I loved this adaptation? It made me laugh, for sure. 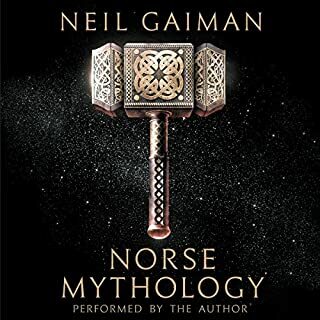 Even though I've read it a few times and listened to version narrated by Gaiman himself, I still enjoyed myself. I was hoping this would be available for purchase once I heard it was going to be a real thing. iTunes had the first episode available for download via podcast, but one episode wasn't enough. Thank you so much for allowing people to get this amazing production. 11/10 would recommend. I don't use superlatives often in my reviews, but this was superb. The cast was fantastic, a perfect Audible performance. I was a little hesitant to download this since I had not read the book, as a previous reviewer recommended. I nevertheless enjoyed this immensely and felt that comprehension of the story was not a problem. The only thing I felt to be a slight distraction was the listing of characters and crew after each episode, which is a very minor criticism indeed. This is wonderful entertainment! 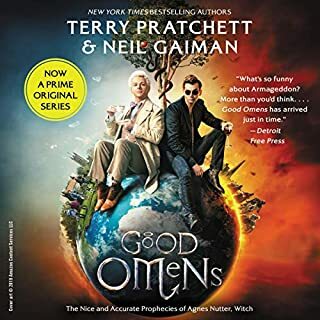 As you read through reviews for this offering, you'll see that those who already know and love the story through the full book version also enjoyed this dramatisation. I am one of these. 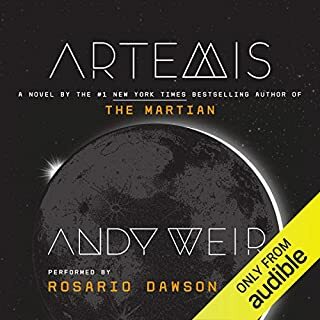 But if you have never read or listened to the full book, it would be very hard to understand what's going on as the audioplay is essentially an abridgement of the story, losing a great deal of the character and plot development. That's the reason for the 3 star story mark - it just doesn't stand alone for the uninitiated. This really is a story that deserves a complete hearing. 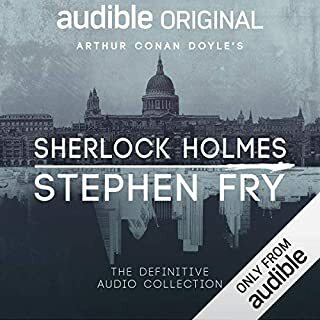 The voice actors are superb, especially McAvoy and Cumberbatch, but I did drop one performance star for the somewhat scratchy quality of the sound effects. Neverwhere (the book) was my very first Gaiman experience, and it got me hooked. If you are at all intrigued by the story premise, do yourself a favor and go to the source. 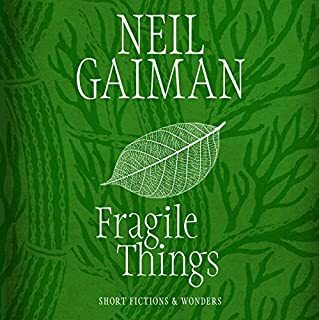 Gaiman reads the entire story himself and does his usual remarkable job. One of my favorite books ever, read and performed by some of my favorite people. 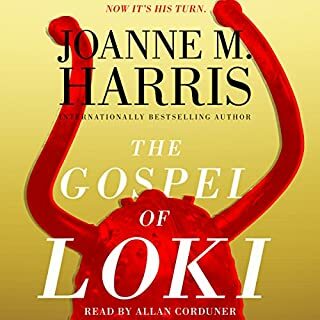 I do think you have to read or listen to an unabridged version first to fully appreciate the story but this was very entertaining. It's been years since I read (and absolutely loved) "Neverwhere." This is a terrific way to re-discover a fantasy classic. Others have mentioned the perfect performances here. 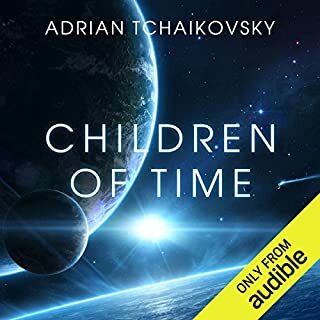 They are wonderful, and the work has been lovingly and beautifully adapted for radio (and Audible). If you read the book, dive into this version of "Neverwhere". 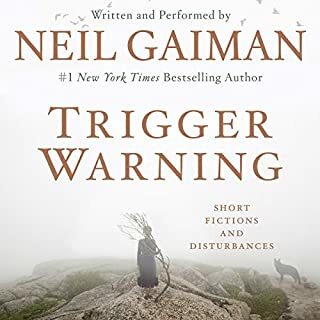 If you haven't yet experienced Gaiman's crazy world, take a moment to get used to the accents and the background noises, and enter. Like radio, it's presented in episodes - but be prepared to stay up late listening to all of them in one sitting! It's that good! The voice acting and sound production was great and it was a good story but it took a lot of work to visualize it sometimes. It reminded me of driving my SUV with the kids in the back watching a DVD. I could hear the movie but not see it. So I got a sense of the story but sometimes didn't really know what was going on as I couldn't see what was happening. I was assuming it was just different voices speaking the parts but that all the narration would be there - it was not. I guess I didn't notice "Adaption" in the title. If you were already familiar with the story that would help, but I was not, so there were times where I just didn't know what was happening. After this I moved on to American Gods and gasped when I noticed that it was "a full cast production." I feared the same issue with a 20 hour book. Much to my delight that one had the full narration with the different voices. That was awesome and is what I was expecting here. So - I liked the story but I would probably steer clear of a similar production in the future. If you could sum up Neverwhere in three words, what would they be? James McAvoy as Richard Mayhew, followed by superb performances from all of the supporting cast and overall amazing production values. 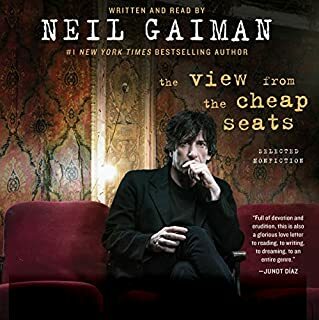 I've listened to many of Gaiman's other books on Audio, including the full-cast version of American Gods. This is better than all of them. 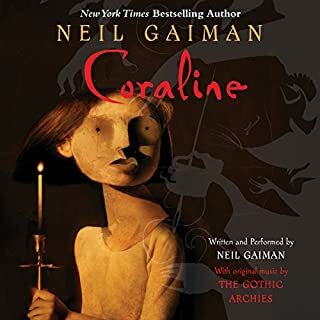 Great writing and a flawless cast produces one fantastic dramatisation of Neil Gaiman's work (the unabridged version read by Gaiman is also brilliant). 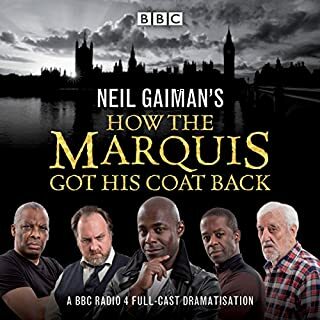 For those who like dramatisations, this is a stellar cast performance which recounts this strange tale of bravery, intrigue and adventure on the streets of London Below. Benedict Cumberbatch puts in a magnificent performance as The Angel Islington, as does Anthony Head. 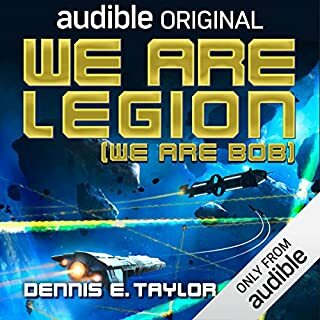 You won't regret buying this audiobook. A superbly acted fantasy play. As you can see from the other reviews, the consensus was the acting in this play was excellent. I agree completely. The story is a fun, fantasy tale about a fellow who falls into a dangerous, alternate reality existing in the sewers, subway lines, and elsewhere under London. For some reason, I found it very funny that one of the characters was named the "Marquis de Carabas" -- a reference to the story of Puss in Boots. Lots of drama. Good fun. Highly recommended. Yes in ways you could not possibly imagine! Just one drawback, it could be longer to be exquisite!